In reading more lit from Asian authors, I'm finding that like Russian literature, there's almost always a moral to the story. 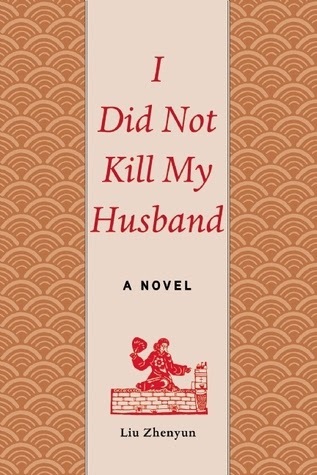 I Did Not Kill My Husband from Liu Zhenyun is certainly no exception to this rule. Li Xuelian is a foolish woman when we meet her and when we leave her. Li and her husband, Qin Yuhe, already have a son. With China's one child policy in effect, Li's existing pregnancy is breaking the law. In an attempt to skirt the law, Li proposes divorcing her husband. He'll take their son and she'll take their newborn daughter and, in a few months, they'll reunite in marriage, except her plan backfires. Qin has his own ideas and takes advantage of their "fake" divorce to marry another woman. Li wages war against her ex-husband, the state, regional and national officials that refuse to take her claim of a fake divorce seriously. Reading about the different bureaucrats that she approaches for help and their reactions to her, I'm reminded of Kafka's The Trial, in which the main character is sent from place to place and person to person, seeking help, with no rhyme or reason. Everyone else seems to know what's going on except the person who is actually requesting assistance. Both are shuffled through the system and passed on to someone else without having their problem resolved. While Li continues to fight the good fight, others question her motivation. After all, her husband has been happily remarried for 20 years while she's fought to have their divorce recognized, and for what? By denying herself the opportunity to marry her longtime friend and proposed suitor, she keeps herself bound to anger and to a man that thinks no more of her than a fly he would shoo away. This was an interesting read, very satirical and makes a lot of good points. The whole premise of the story is a reminder of the effects that China's one child policy can have on families, though it has been eased in some provinces. Fans of satire or Kafka-like lit should definitely give it a read.